Welcome to North Coast Eye Care Your Optometrist in Sequim, WA. Call us at 360-797-1148 today. 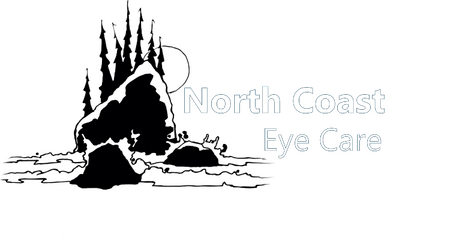 Welcome to North Coast Eye Care, a full-service eye and vision provider located in beautiful Sequim, Washington. Dr. Nicole Campbell and the NCEC team use state of the art equipment and procedures to provide the best possible eye care to the Olympic Peninsula. Some of the services we offer are complete eye exams, contact lenses, specialty contact lenses, glasses, treatments of ocular diseases, consultations, and pre- and post-operative care. We invite you to browse our website and see how we can help your vision and eye health! "Great service. Very good explanation of treatment and diagnosis. Very modern equipment relative to other eye doctors I've been to"
"Everyone in the office is cheerful, helpful and efficient. They also have state of the art equipment. I was very pleased with my visit to the office." "Attentive courteous staff. Dr. Campbell was very thorough." "Friendly staff, knowledgeable doctor and assistant. Easy location right in Sequim. Would definitely recommend." "The entire office staff was extremely patient with my four year old son and even took the time to play with him. Very friendly feel as you walk through the door." "Professional staff, informative, caring attitudes, making my first visit a pleasure!" " Dr. Campbell is an excellent doctor. The time spent in the room listening to my concerns and explaining her findings was exceptional. Her explanations were thorough and easily understood; I have great confidence in her skills." "I am new to Sequim & needed an emergency appointment. North Coast Eye Care was able to see me promptly & everyone there was welcoming and pleasant." "From the receptionist to doctor everyone provided excellent care and customer service!" "Very knowledgeable and friendly staff, always go the extra mile to make sure I am taken care of." "North Coast Eye Care provided one of the best experiences I have had at an Optometrist. The staff was very pleasant. Dr. Campbell was very thorough, and she and her assistant explained everything to my satisfaction." "Dr. Campbell and her staff are very knowledgeable and helpful. Very thorough also during the exam and answered my questions in a thoughtful and informative way." "Excellent care and thorough exam! I will recommend Dr Campbell and her assistant Tera, they answered all my questions and I learned about new eye care techniques and products available." "Very knowledgeable, thorough and pleasant. Everyone takes the time to explain and you don't get rushed."